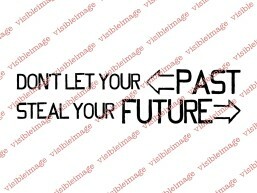 Hello everyone, it is time for some more inspiration from me for Visible Image. 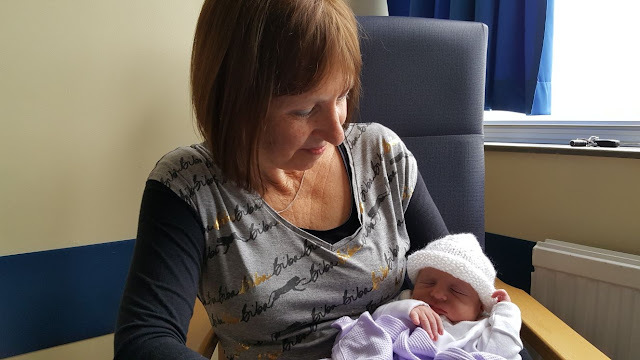 Yes our darling Grand baby arrived on Friday…! The sweetest darling baby brother for Daisy Jane. How blessed we are. 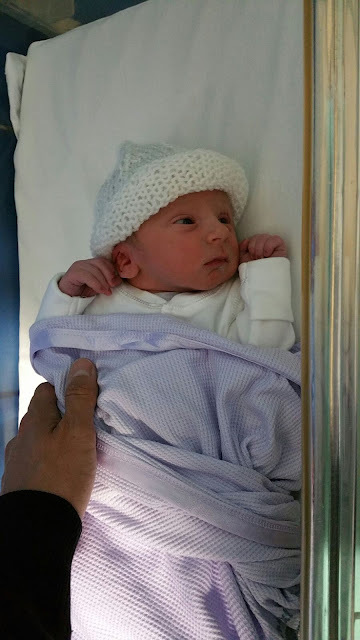 He was a couple of weeks early and is tiny… just 5lb 13oz but just perfect and we all adore him! What a weekend of excitement! My card today is one that was made as a sample for Saturday’s Show and I waved to it on TV. 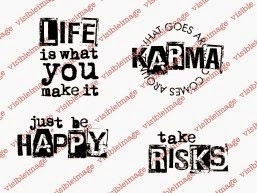 I love this set… the script stamp makes is an amazing background script, you can use it for everything. The map is also such fun. I repeat stamped the map onto thin card. I used some Decoart media paints on another sheet of card to give a medieval feel to the background and repeat stamped the script. 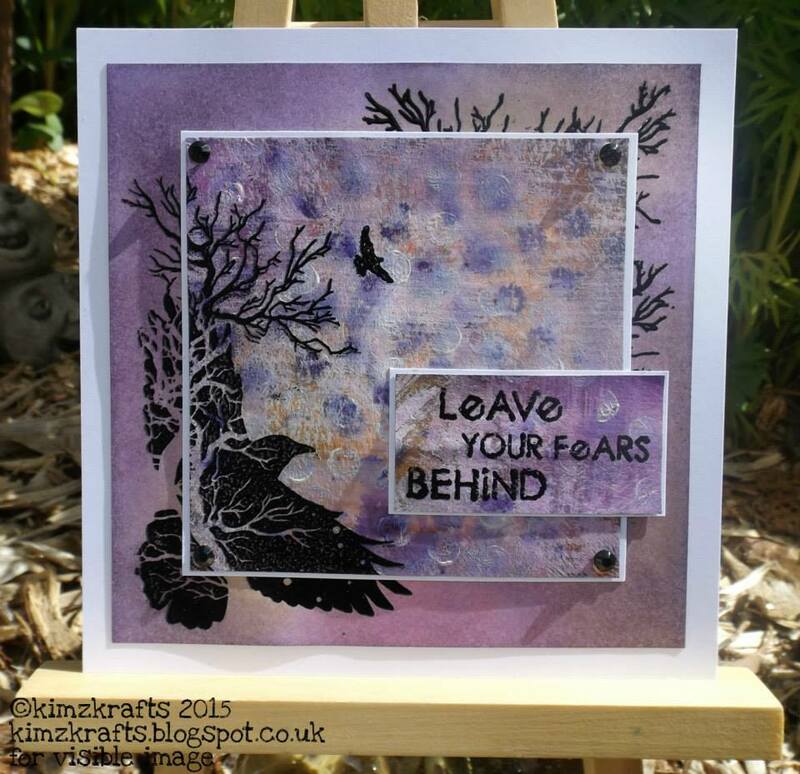 I then die cut the background using a mixed media die to make a leaded glass effect. I then opened them up again, added some inks to age them, and stuck 3 maps to some black card. When we were on holiday in Italy last summer I bought this sealing wax set in an art shop in Sienna and I knew now was the perfect time to use it . 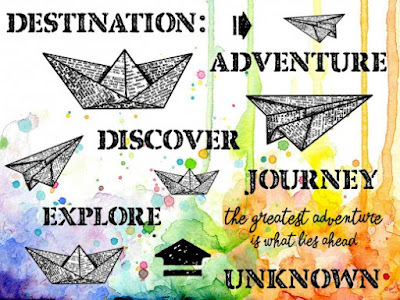 I also stamped and embossed some words and paper planes from the Destination Unknown set, put on my creative hat and came up with my card. You can see that I used my black card as a base for my “window”and stuck the maps on top. 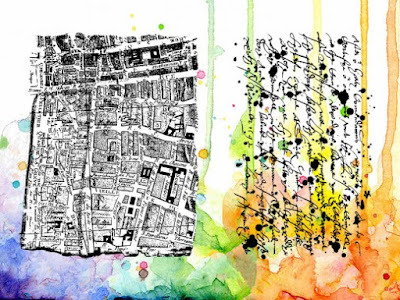 I then added my trellis mixed media window sheet so that the maps are sandwiched between the layers. Here are some side close ups to try to show the 3D effect. I love my wax seal… it even has my initial on it and I will certainly be using it again very soon. 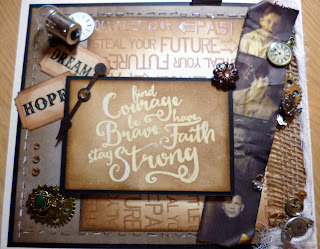 We will be back tomorrow with fabulous inspiration from Corrie and Dot! 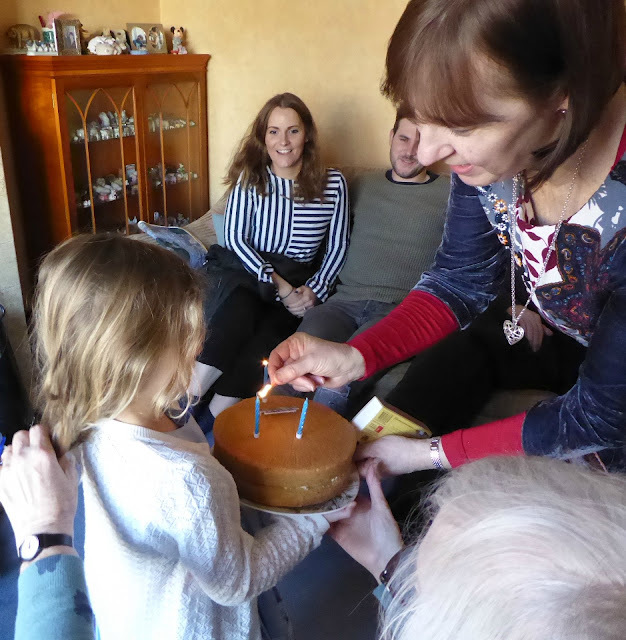 Hello and thank you for visiting our blog today. We have 4 amazing projects to share with you today! 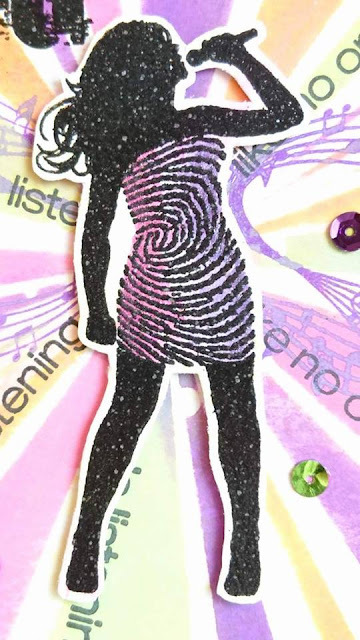 It’s time for another creative project using my wonderful Visible Image stamps. 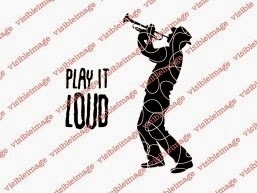 This time I have been playing around with the words, masking and mixing to create some that technically aren’t there!! 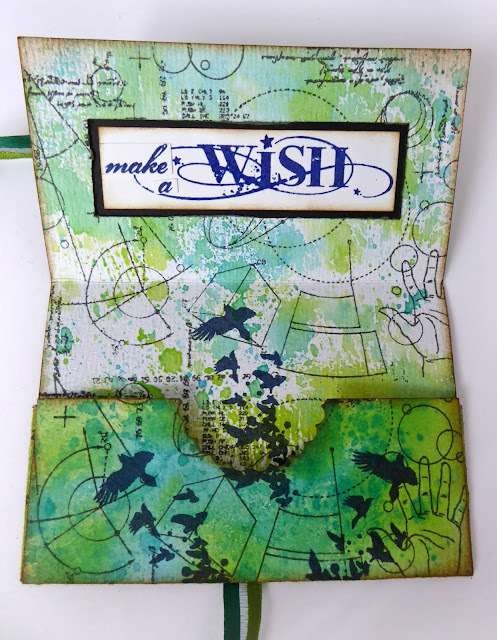 My background is a mixture of Brushos and Distress Inks which I then stamped on with Archival Ink. 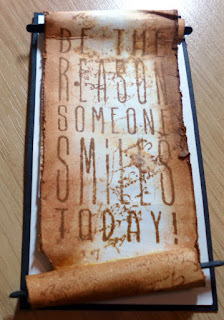 I used Jet Black for the map stamp, and Sepia for the words. 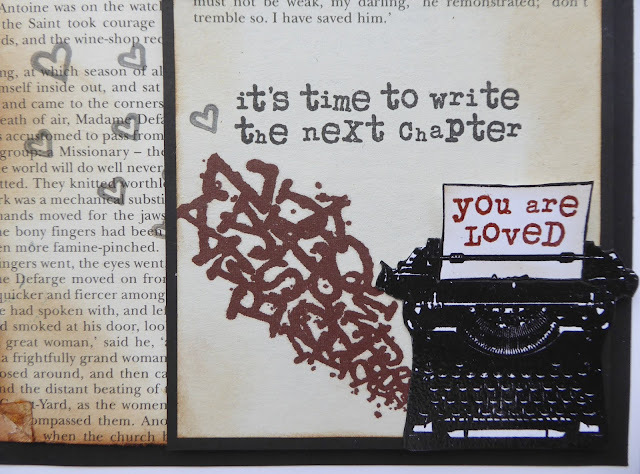 I took a scrap of card and coloured with Distress Inks then stamped my feature sentiment in black Archival ink, highlighting with a white gel pen. 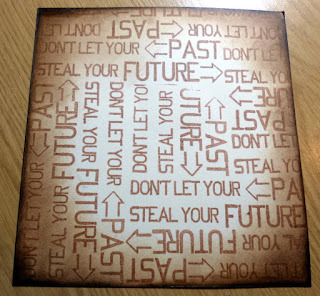 I trimmed the pieces and edged with black Distress ink for definition. They are attached with 3d foam. The arrows are stamped in black (they are a fun addition to the set). 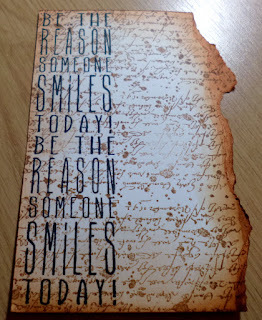 Such an awesome card Teresa thank you ♡ Love how creative you’ve been with the words! And wow what a brilliant background! 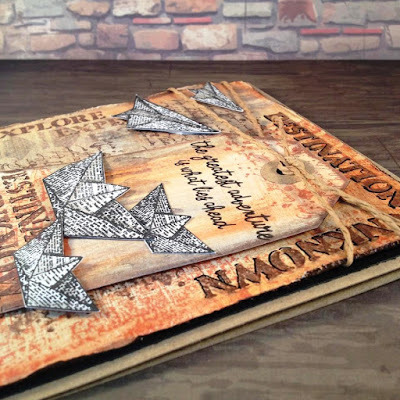 The paper planes pop off the page! 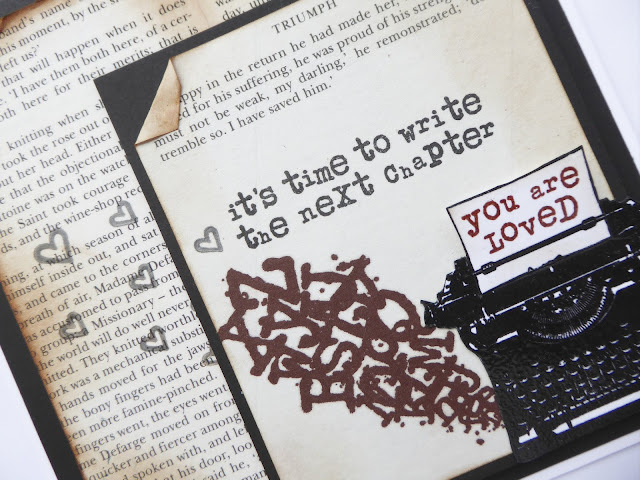 We’ll be back with more fantastic inspiration here on the blog a little later today. 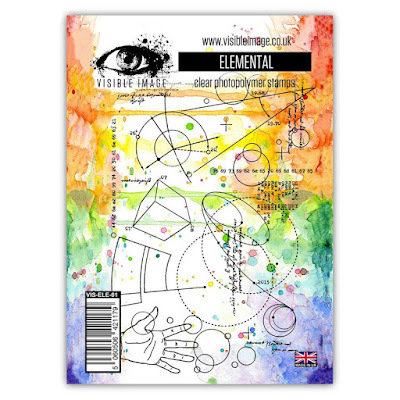 The new Visible Image ‘Destination Unknown’ stamp set can be used in so many ways! 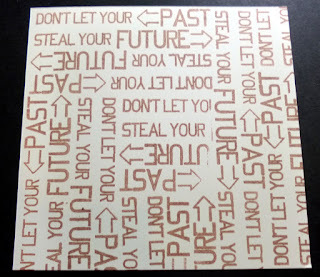 background that I decorated with stamped words and die-cut house silhouettes. Next up here on the blog is a stunning Ballerina canvas created by Pauline. Good Morning! 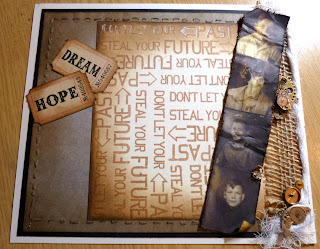 Today we have some fantastic inspiration for you here on the blog! 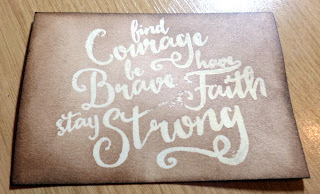 I stamped the Ink Splats randomly around the edge of my base layer using some gorgeous Distress Inks (Picked Raspberry, Twisted Citron, Peacock Feathers and Mustard Seed). 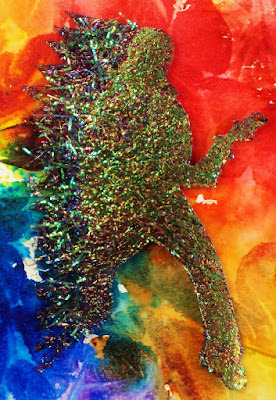 The guitarist is stamped and embossed in Fluorescent Blue WOW powder over a background created with shaving foam and Dylusions spray inks. 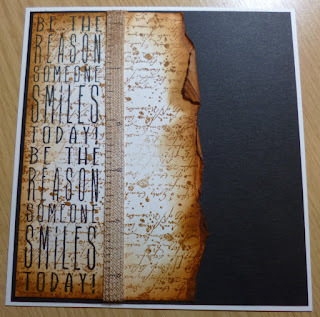 I embossed the sentiment in white then matted onto an offcut of ‘shaving foam’ card to finish. 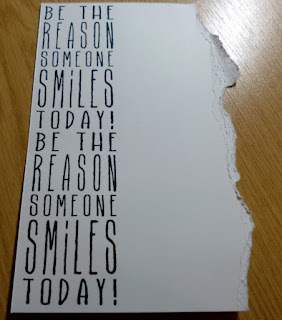 I hope that I have brightened your day with my card – thanks for looking, please come back again next week for more fun!! 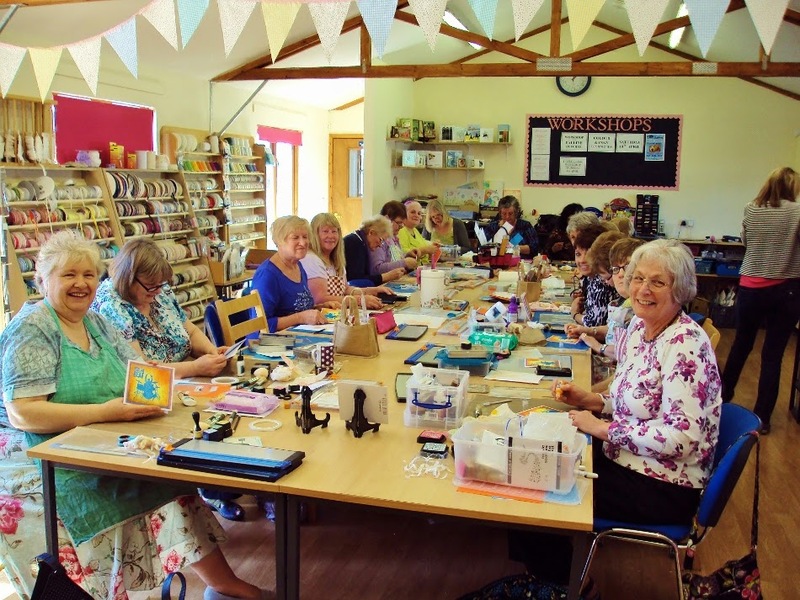 We will be back with another NEW stamp preview and some fabulous inspiration from Pauline a little later. And make sure you check out our January SALE here! Sale stock is selling out fast! Good afternoon! 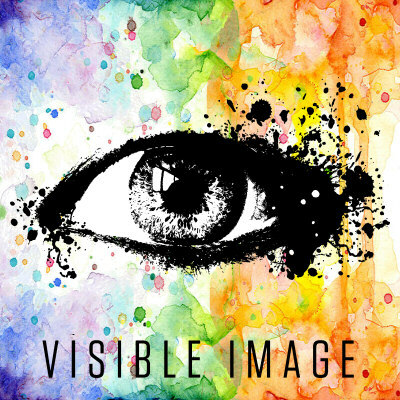 We are back with more fantastic inspiration for you here on the Visible Image blog today. 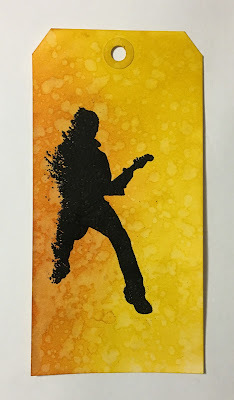 This is a fun technique to do, even if it shows up best in real life, not in photo. I inked up a piece of paper with yellow and orange tones of distress ink. 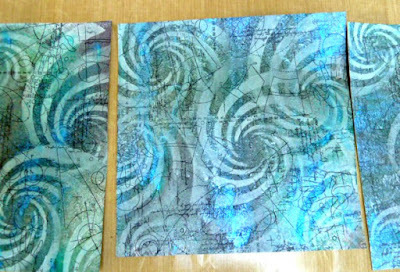 Swirl and blend them together a bit with blending tool (no inkpad direct on paper). Then I put some white mica-powder on top of it with a brush. 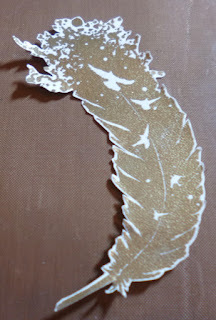 I embossed the paper with an embossing folder so it got a 3D look. 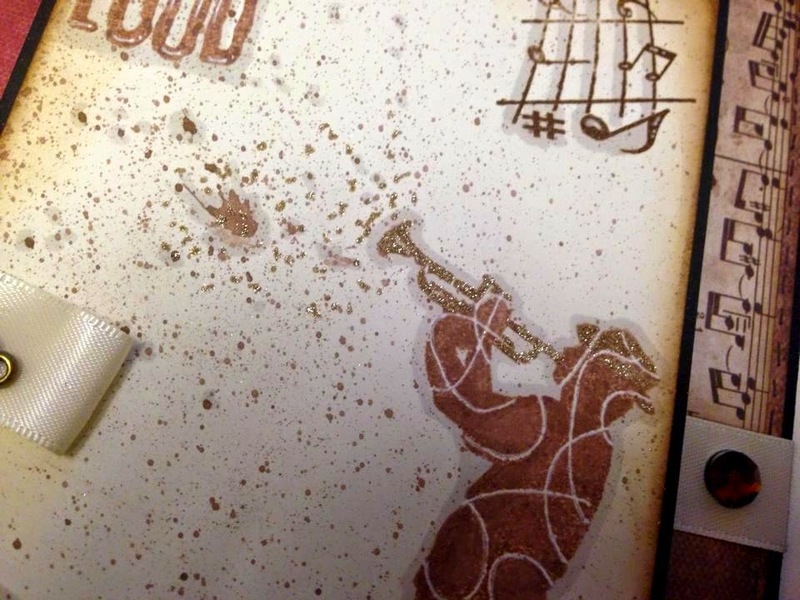 Then I used this piece on my card as a background to the lovely stamps from the Jazz it Up set. 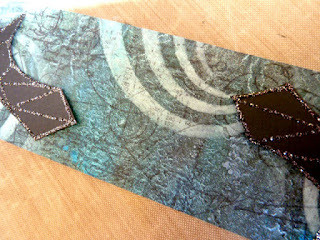 This technique is called faux metallic and you’ll find a great video of it (where I’ve learned this) at Jennifer McGuire. We will be back tomorrow with Teresa Morgan’s latest project. 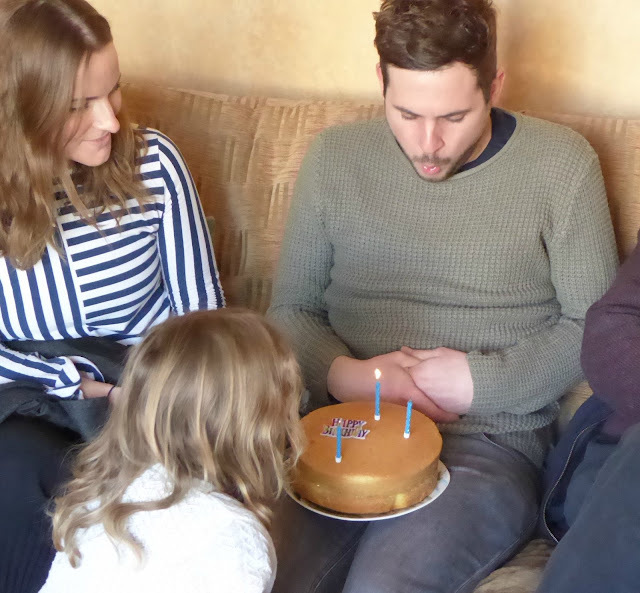 If you missed our exciting NEWS yesterday… you will find it HERE!!! Including all the details of our BLACK FRIDAY SALE which starts at 10pm (UK time) tomorrow, Thursday November 26th! Good Afternoon 🙂 It’s ‘Soozie Tuesday’ here on the Visible Image blog! How are we all? Good I hope, I’m suffering from a bad bout of flu, its knocked me off my feet! Slowly feeling better day by day thank goodness! Shame it’s now because I wanted to make a ‘special creation’ to celebrate my 2 years as a DT member for the fab VISIBLE IMAGE, It’s my 2 year anniversary on Thursday! 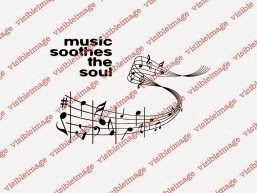 Jazz it up £7.99 and Music Soothes the Soul £7.99 for the CAS Man card. Thanks for taking a looksy and see you next week. Hope you had a great weekend! 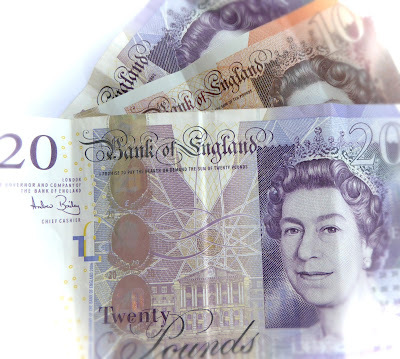 We have been busy busy working all weekend once again, the bonus is that it doesn’t feel like Monday today!!! Hehe! It’s been a changeable week weather wise here in Wales but spring is definitely here! The snowdrops are out, daffs are opening and the sun has been shining more and more. 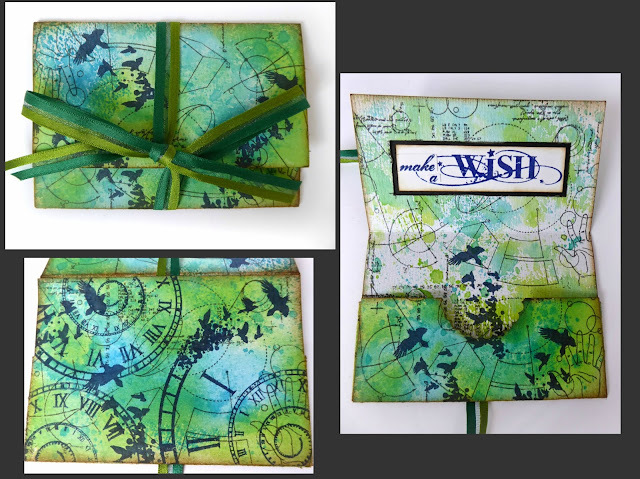 This week I want to show you a project I did using the lovely melty clock from the new range of stamps by Visible Image. 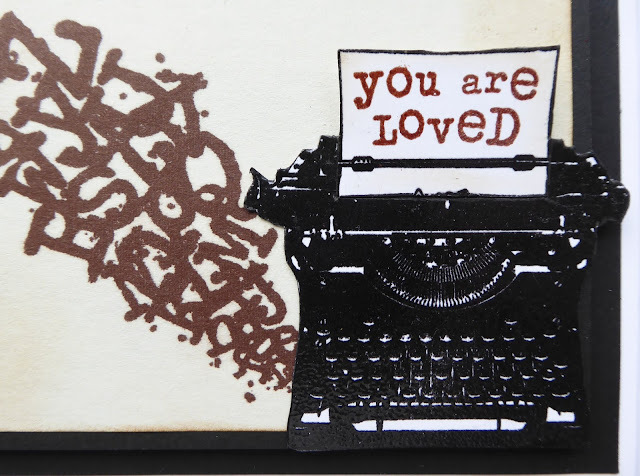 The clock itself is a fantastic stamp but the sentiment that comes with it is perfect for all sorts of occasions. 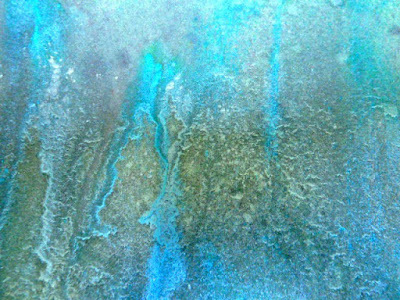 I started the piece with a Brusho coloured background in green, turquoise and purple. When this was dry I brushed lightly over the whole piece with some Gesso keeping the brush as dry as possible and barely touching the paper. It lightens the colour and gives a worn look, a bit like faded denim. 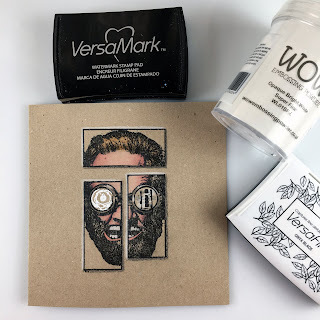 It also gives a great key to the embossing powder! 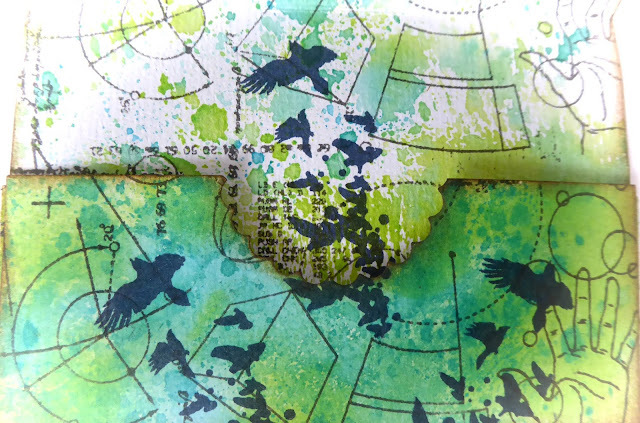 Once the Gesso was dry I took the polka dot stamp and dipped it in some liquid Brusho, spritzed the stamp with more water and stamped it onto the background. I left it in place so that the paint drained onto the page. I then stamped the clock directly onto the background and embossed it with black powder. 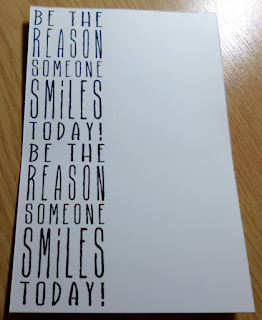 I stamped the sentiment onto a separate piece of card. 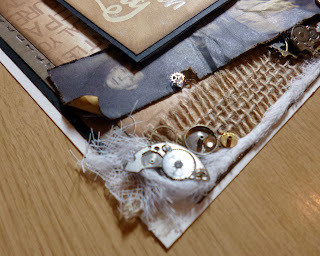 The piece of card was torn to size and then layered up on more torn card in similar colours. 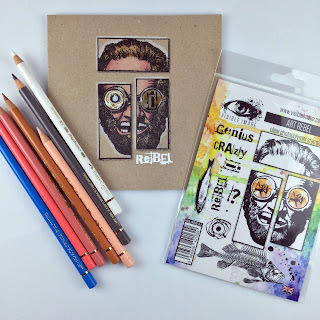 Click HERE to find out about the Show & Tell monthly challenge – it links to the group where you can upload your projects and tell us all about them for a chance to WIN some new stamps! 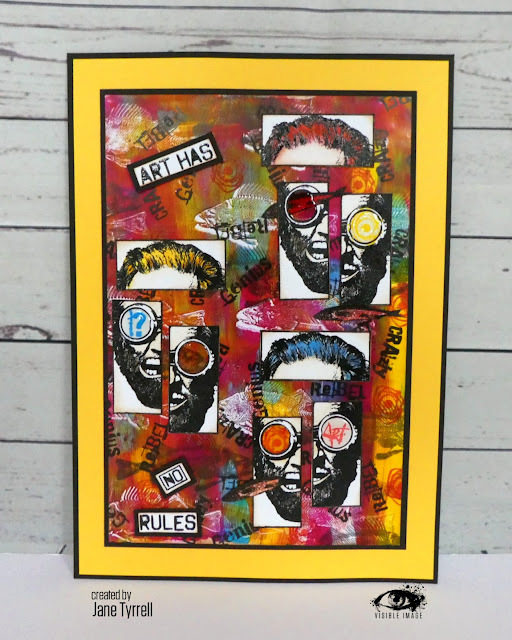 Click HERE to go to the Visible Image blog homepage to see all the latest DT inspiration, and check out the Projects Gallery too! 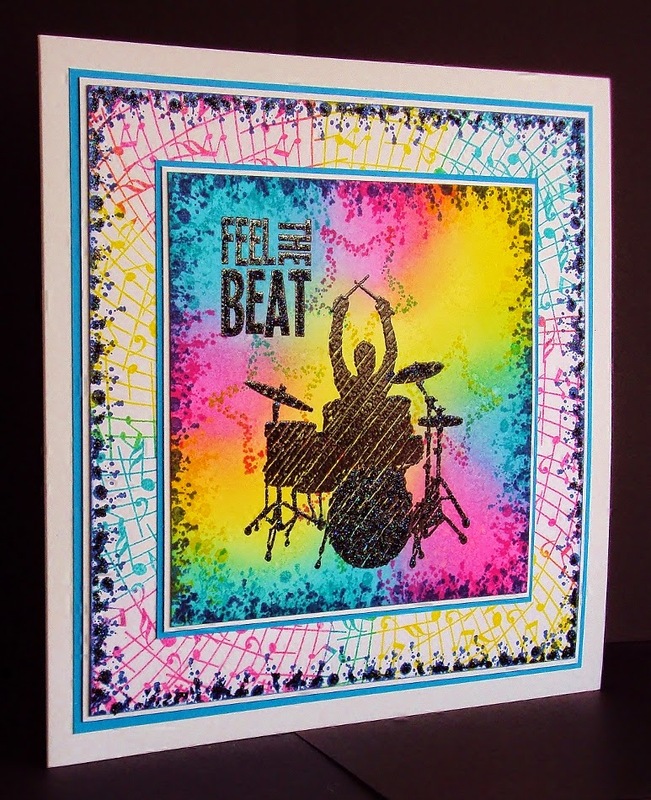 Awesome work by Kim.. love the effect created with the Polka Dot background and brushos. Isn’t the Time is Precious set perfect for masculine cards. 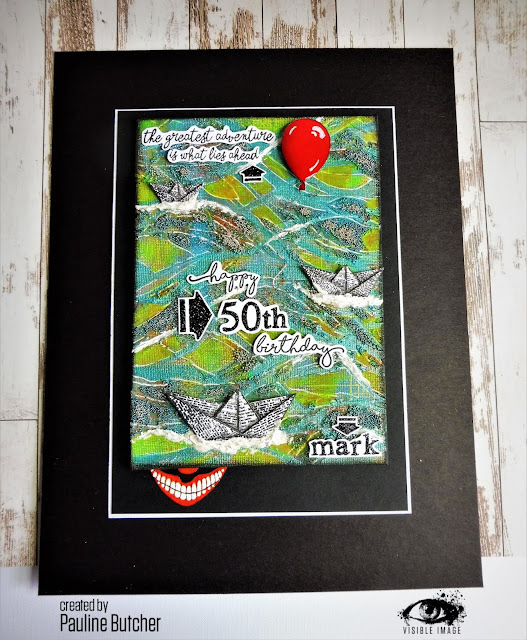 Would be great for a retirement card too 🙂 Our stamps are perfect for your mixed media projects, they are so gorgeously thick and deeply etched. See you here again tomorrow! 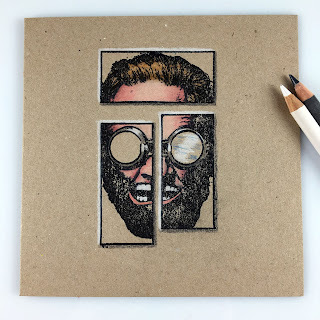 Hi 🙂 We are back with more awesome Visible Image stamps inspiration for you! I’m back with a bunch of artsy cards again. 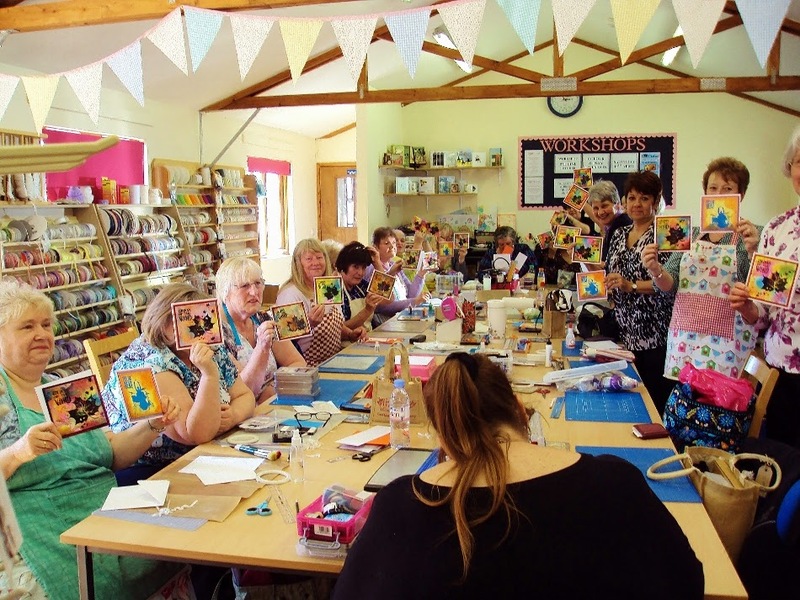 This is what I love with card making – the mix of doing all different kind of cards. 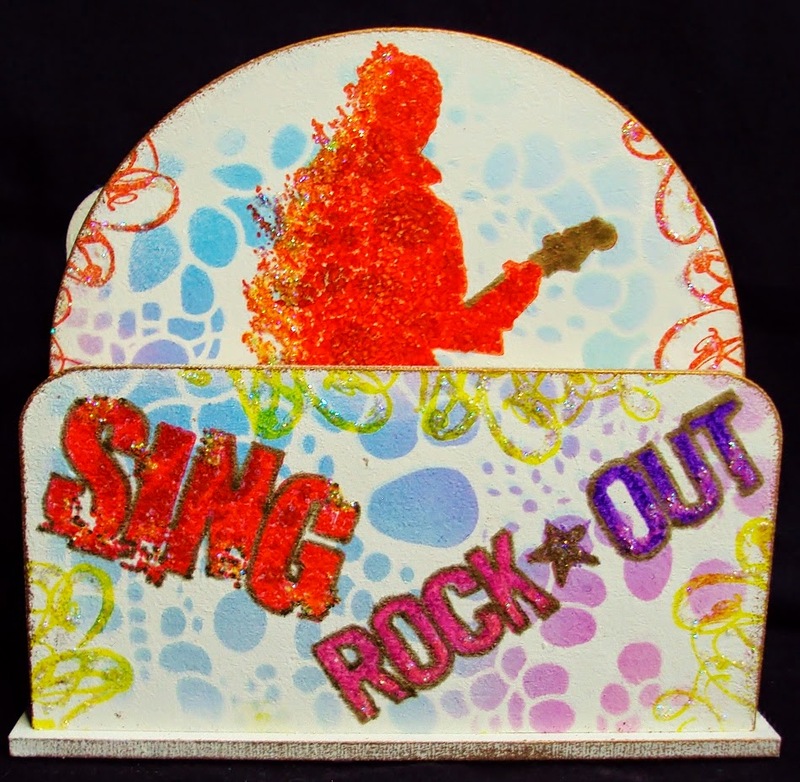 These cards are for Visible Image and I’ve used two of their brand new sets.. Colours of the Wind and Rock Out. 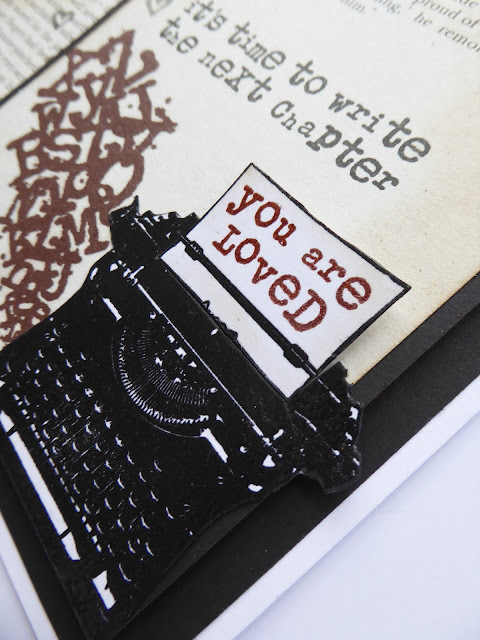 The third card is made with one of their beautiful word stamp called These are the moments. 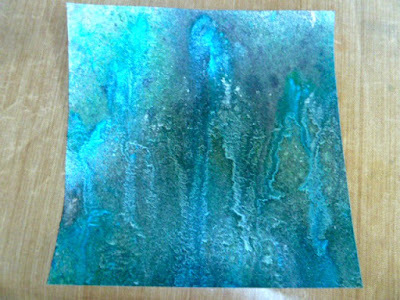 On this card I’ve played with different kind of mists on water color paper. I wet the paper and dripped colors from the mist, I didn’t spray them on. More water and let it blend together. When it all was dry I stamped the leaf on top. A bit tricky since the paper have a bit structure. I just totally loooove this background! Didn’t want to hide much of it so I used the beautiful word stamp to go with it. Background is made on plain paper, but I put a layer gesso on first, and then I went crazy with my distress stains a bit. Sprayed on some water to get the structure. When it was dry I dripped some more colors on fron Adirondack, and did a light mist with water on top. 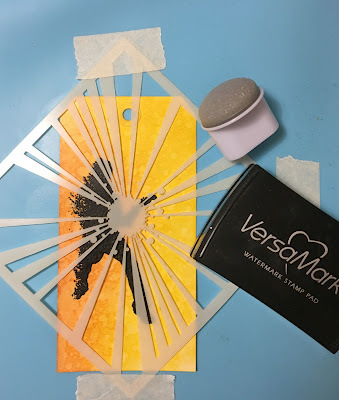 Last thing I did was stamp the circle with dots (you see better on next card what it looks like) with a Champagne dazzle VersaMark and embossed with clear EP. It looks like water drips on the card. Hard to see on photo but I hope the last picture shows it a bit. 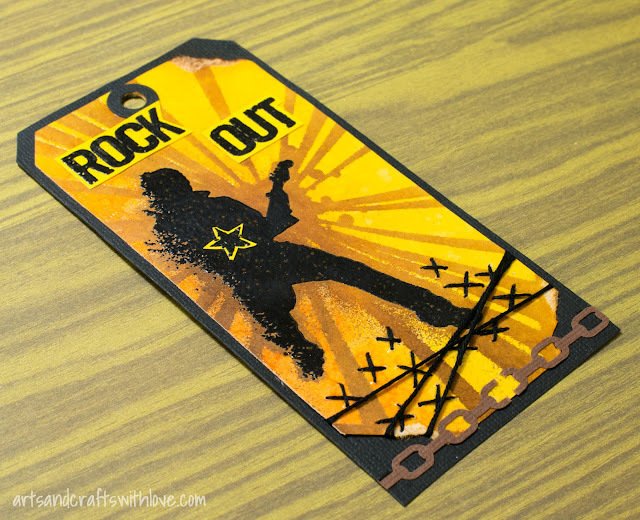 This Rock Out card is made with a piece from the same background as the card above. 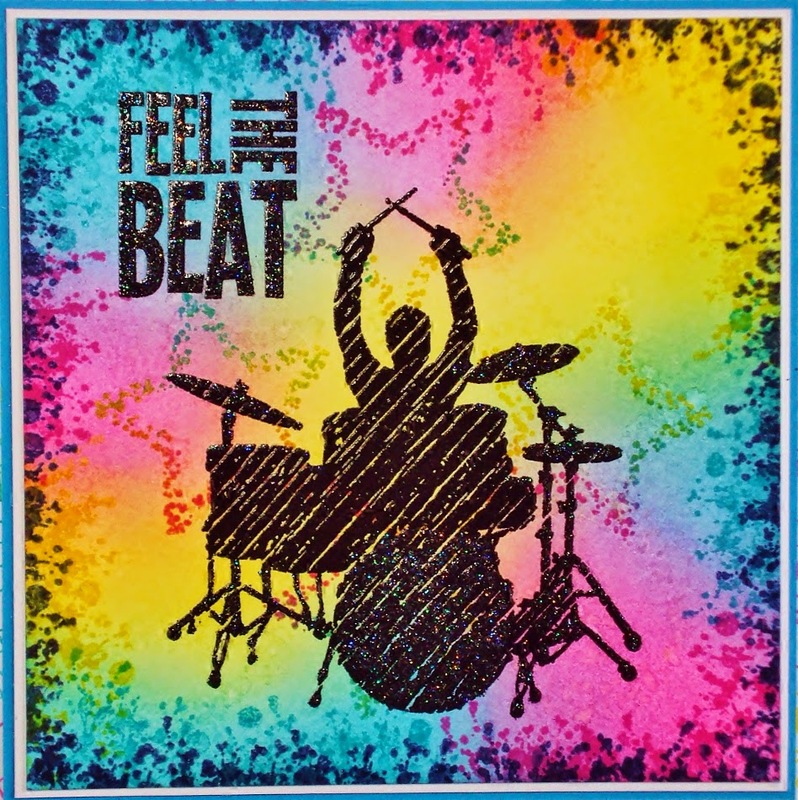 I stamped the rocker in black and made him a bit ”watercolory” (is that a word? LOL). Stamped again to give him a shadow. 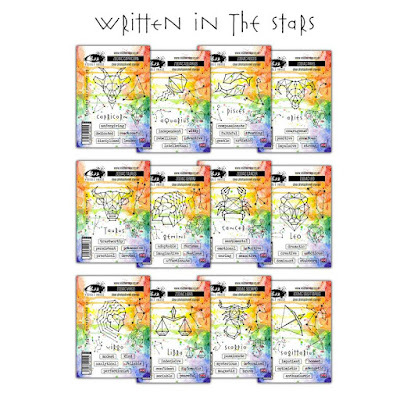 The outline in white is made by a white pitt pastel pen. I tried to do a white line on the inside too, but the white pen didn’t really cooperate with me. 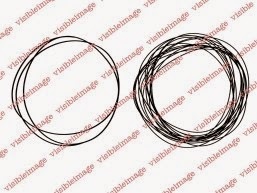 Dotted circle are from the Universal set, and I stamped it in grey and black on a few places. I didn’t fit the words in on a row, so I masked half of with a post it note when color it up. That way I could get it in two rows instead. Other: White Pitt Pastel Pen, Clear embossing powder. Hello! Hope you had a great weekend. What’s the weather like where you are? It’s been crazy here this morning… Hail and thunder storms and it’s so cold! Hello all you lovely people! Thanks for dropping in. Well, another Monday is upon us. But don’t be down and gloomy. 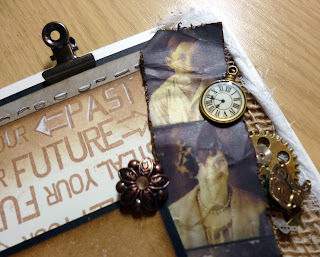 Spring is springing, the birds are tweeting and I have got a Visible Image project to inspire you to get crafty! The new stamps launched recently are all fantastic but this melting clock and the sentiment that goes with it are just wonderful. 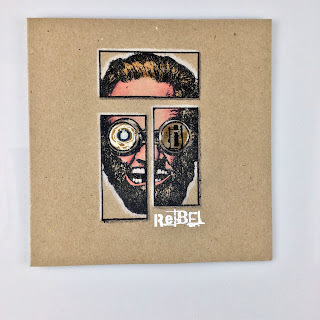 So, after I bit of ‘getting to know you’ and a play with the stamps I decided to branch out and make something a little different. 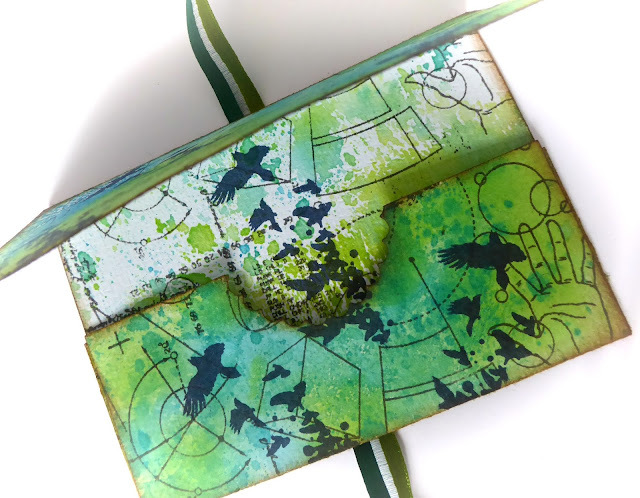 This note book started out as a piece of good quality watercolour card which I had coloured both sides with Brusho paint and left to dry. I scrunched and soaked and scrunched some more and soaked some more with just water and got my hands all inky! 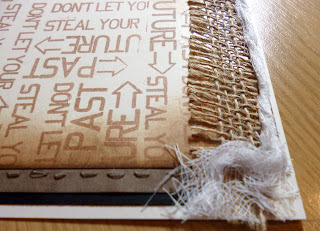 It broke the fibres and made the card almost like cloth. I really like the way the edges become fluffy and I love the way the colour from one side bled over onto the other side. Now the resulting fabric like quality the paper now had got me thinking. 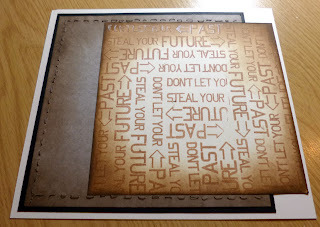 I could stamp onto cloth and then sew things onto this base card. It just snowballed! 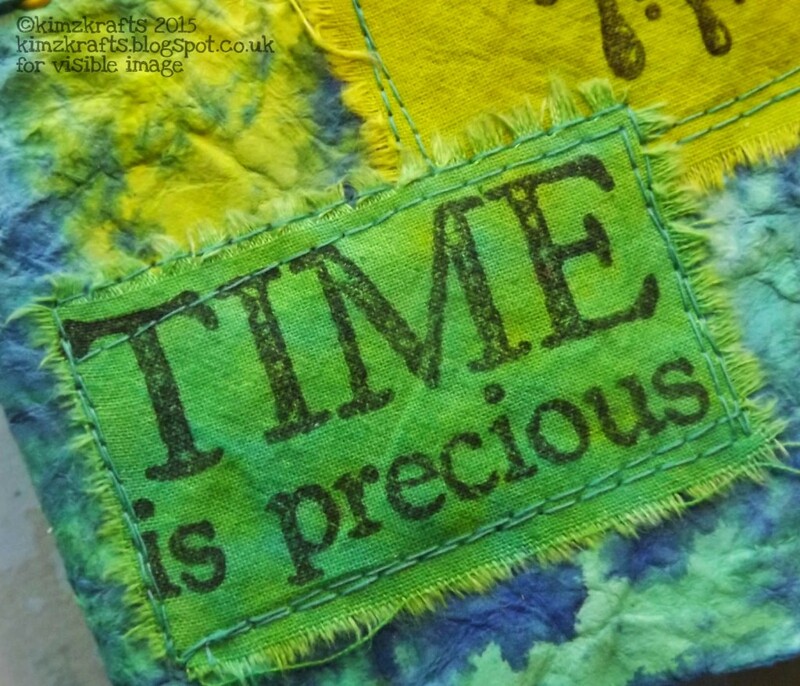 I used Brusho to colour the calico scrap to match and stamped onto the fabric with Stazon. I have no idea what ink is best for fabric but this worked for me! I used my sewing machine to attach the calico to the cover. 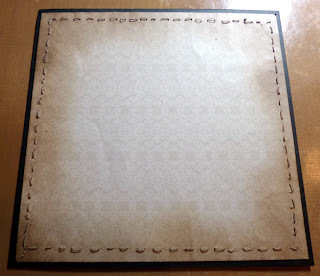 I made a small pad of paper which I sewed directly down the spine of the cover. I used eyelets and a piece of faux leather threaded with some wooden beads as the closure. 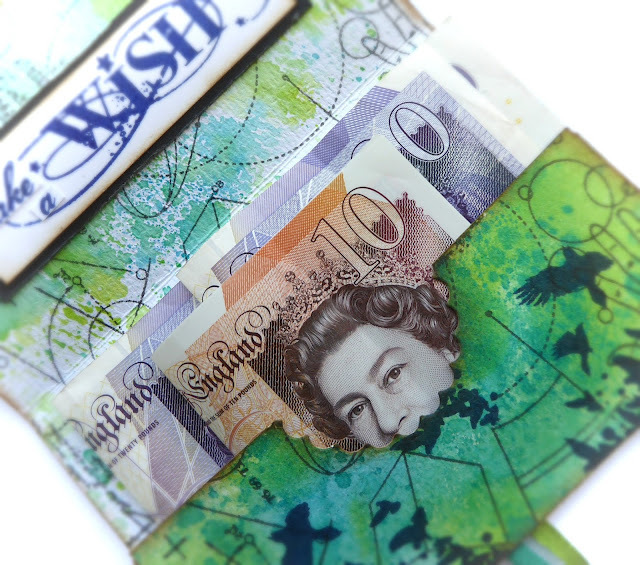 I was really pleased with the end result and I have plans to make more! 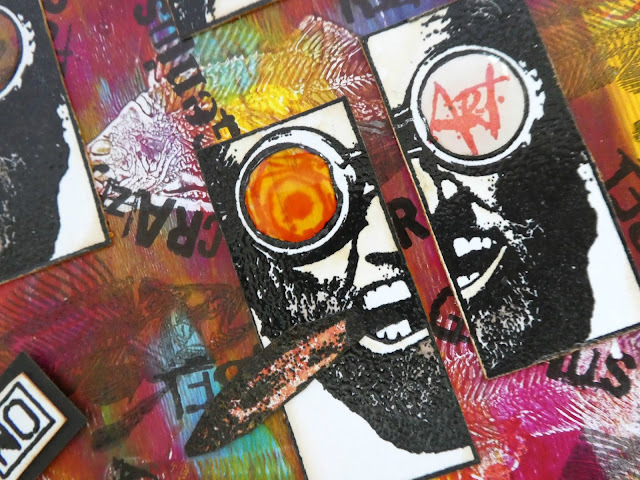 Click HERE to go to the Visible Image blog homepage to see DT inspiration projects and check out the Projects Gallery too. Hello! 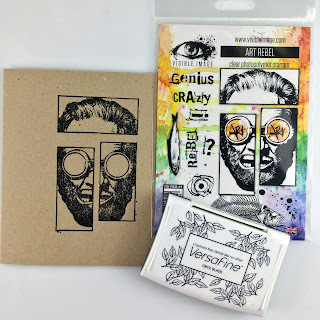 Thank you for coming to check out today’s Visible Image stamps inspiration! 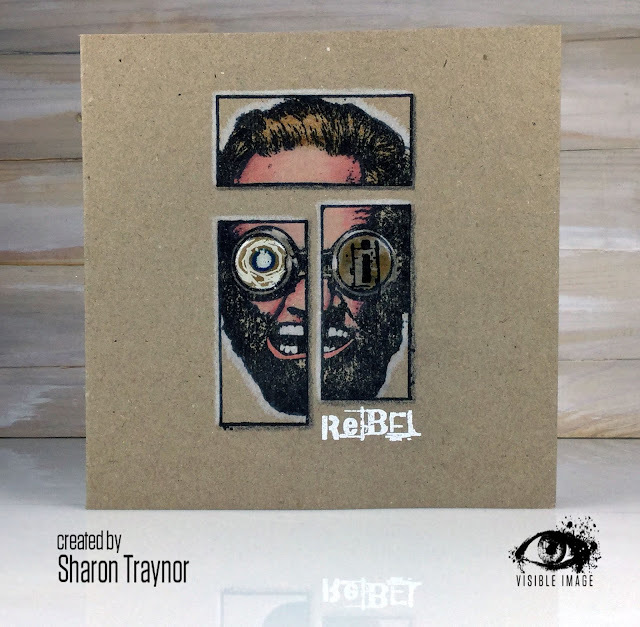 It’s Thursday once more and today I have an ‘eye-catching’ (excuse the pun) card to share using some more fabulous stamps from Visible Image. The background is coloured with Peacock Feathers and Mustard Seed Distress Inks blended with a foam applicator. I edged it with Black Soot ink. 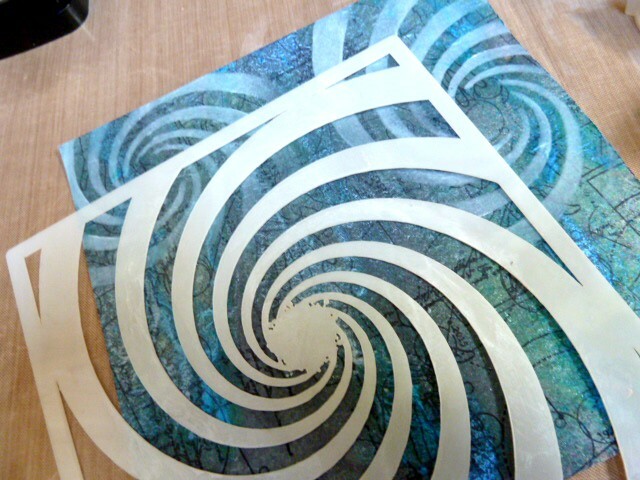 I left the centre of the card white where I was going to place the eye stamp. 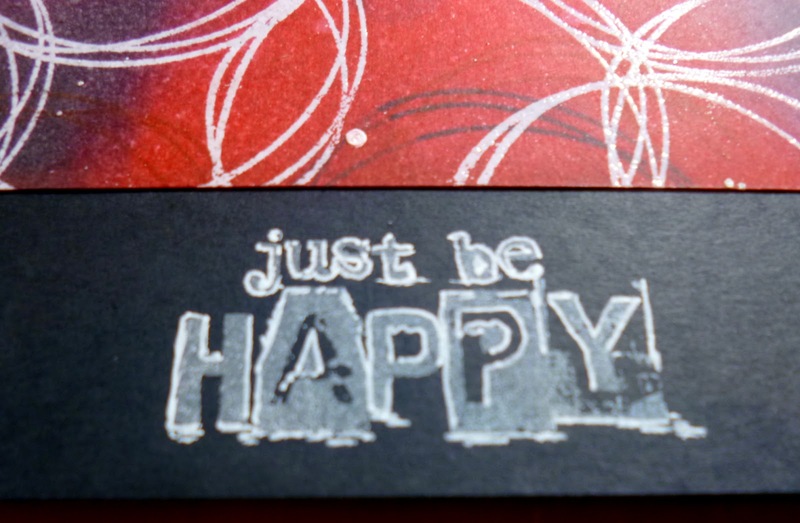 I used black Versafine ink for my stamping. 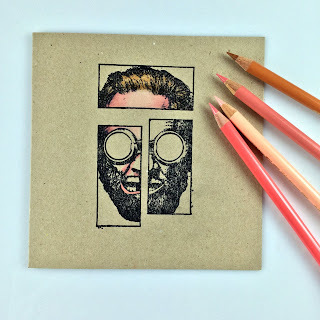 First I stamped the Vision INKognito stamp in the centre, then used the Grunge Check Background to create a ‘wonky’ frame around it. I inked up just the ‘i-mag-ine’ from the Imagine Dream Inspire set and stamped it just below the eye. 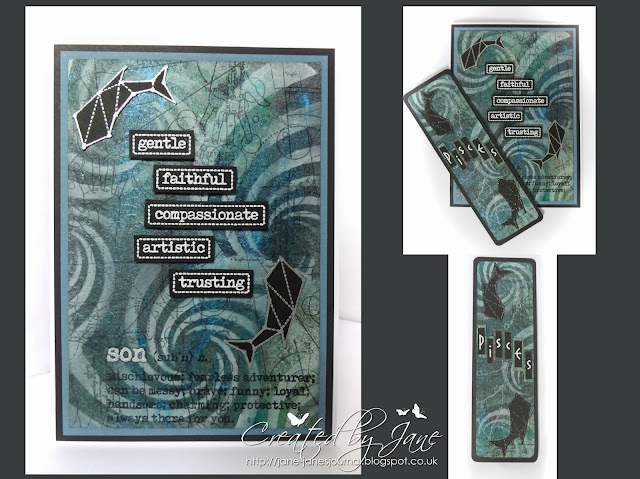 The sentiment Create Your Future is stamped onto white card and edged with a touch of Distress Inks to tie in with the background. I hope you have enjoyed looking at my project today, don’t forget to check out the links below for more Visible Image inspiration. Hello again! 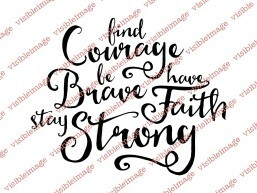 We are back with our second inspirational post today! The car was stamped in brown pigment ink and heat embossed with clear embossing powder. I outlined the car with a gray marker to add a little dimension. 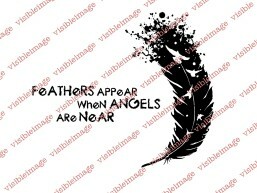 I did the same with the sentiment, except with black ink. Once all my stamping was done, I used Distress Ink to ink up the edges, and then adhered my card fronts to black card bases. So, a few tips for masculine cards… Use mostly neutral colors. Most guys over 30 aren’t big fans of hot pink and lime green. lol Keep your cards simple. Guys don’t need/want a bunch of ribbons and glitter on their cards. 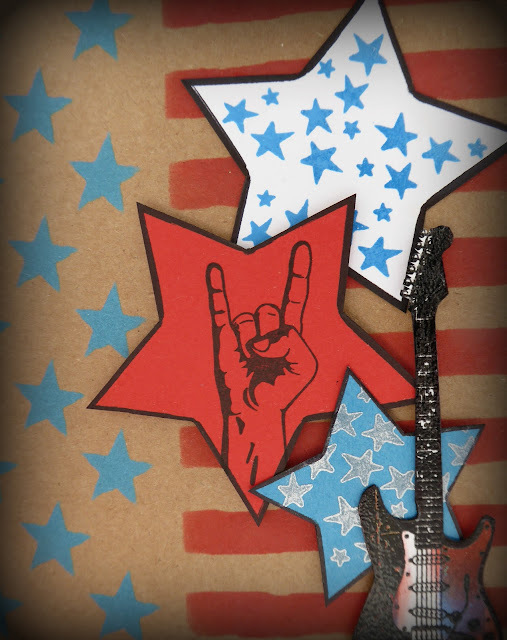 =P Add some masculine stamps to your collection. I bet you’ll use them more than you thought you would! 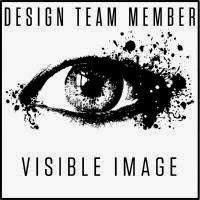 For more Visible Image inspiration check out their Facebook group, and Blog. Do you have a minute to spare? Please pop over and LIKE our Facebook PAGE! Good Morning! And Happy Monday to you all 🙂 Hope you had a great weekend! Hello all of you out there in blog land! I am so glad to see the back of last week weather-wise. As you know I had a flooded back garden and I am eternally grateful that that is where the water stayed, in the garden! It continued to rain on and off all week up until today (Sunday) when not only has there been moments of blue sky but have also seen dry paving in the garden! I had quite forgotten what colour the paving was! I am thankful for small mercies and have fingers and toes crossed that I can get the back wall cemented up quickly in case it happens again. On to my project for this week. I know it is coming up to Christmas but I still have a couple more non-Christmas makes to show off. 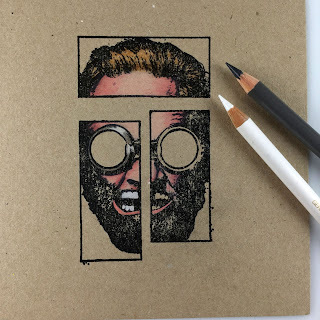 Rumour has it that Mark is working on some new stamp designs for Visible Image, well, it is more than a rumour, I know he is!! 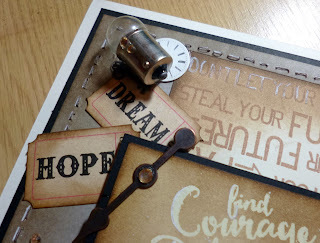 I want to show you what I have left in my box of delights before I hit you with a couple of Christmas themed projects and then the new stamp projects otherwise they will never see the light of day! 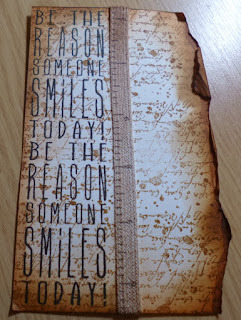 What I have for you today is another one of those cards made from scraps. 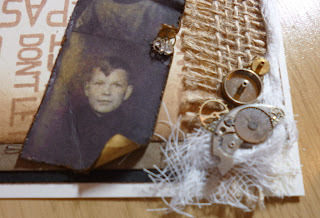 I am such a hoarder and any pieces of card left over from Visible Image projects will make their way into a box labelled Visible Image Bits’n’Bobs ready to be rummaged through when I need inspiration. Some pieces will be there for months but I know they will all one day have a purpose! 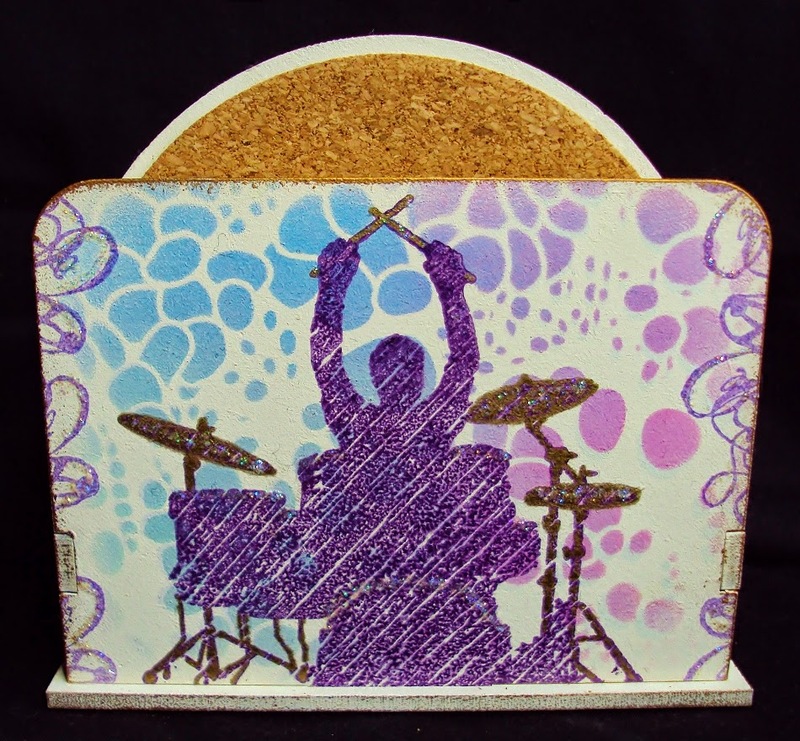 The pieces of scrap that I used for this card had been coloured with Brusho paints. They are trimmings from a larger piece of card which were all about 1cm wide. 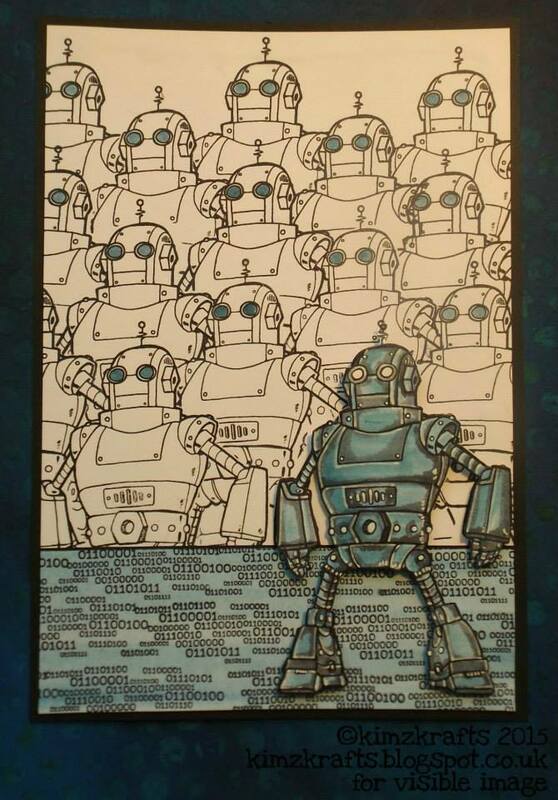 I decided to use these strips to make a plank-like background which was fairly straight forward, I just glued them onto a base card making sure that I kept the neighboring colours as random as possible. I left the piece to dry under a heavy book just to make sure the planks stuck down. I then trimmed this to a neat oblong shape. 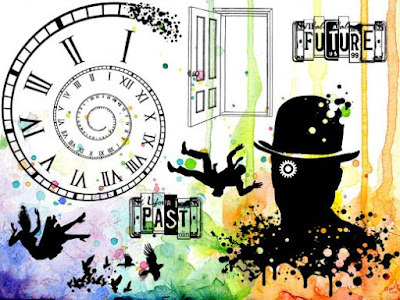 The resulting background seemed very masculine to me and so I decided to use elements form the Time after Time set. 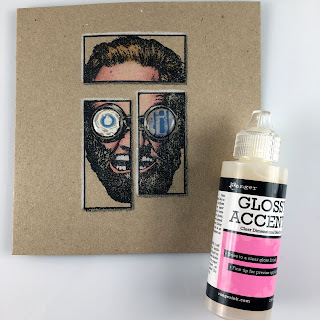 I stamped with bleach using the shattered glass stamp from the set. As I have said before if you are a little nervous about using bleach you could use water and blot away the colour but it will be more subtle. I used some of the other stamps from the same set to create the flying fob watch and this is mounted on gel glue to raise it up. The word and number elements are stamped directly onto the planked background. 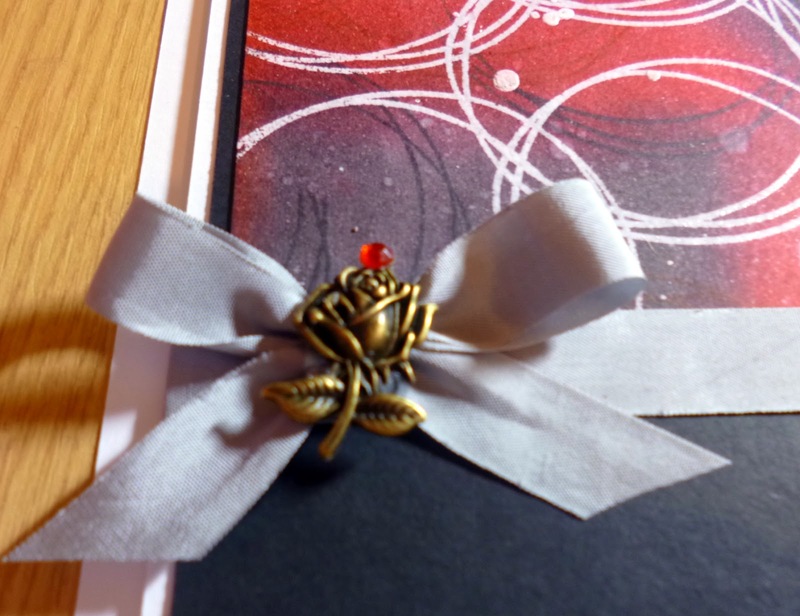 I used black embossing powder to make them more prominent. I also added some hi-lites with a Posca pen. 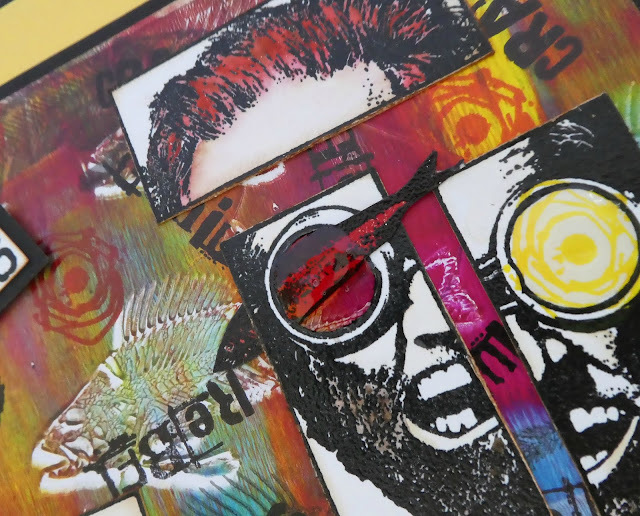 I think it is these hi-lites that make the piece very dynamic and visually exciting. There we are, what some might call scrap I call inspiration. It is surprising what you can make from off-cuts! Only mid way through November so still plenty of time to get your project uploaded into the Visible Image challenge, all the details are below. I look forward to a continuing dry week ahead and hope the weather is good to you where ever you are. 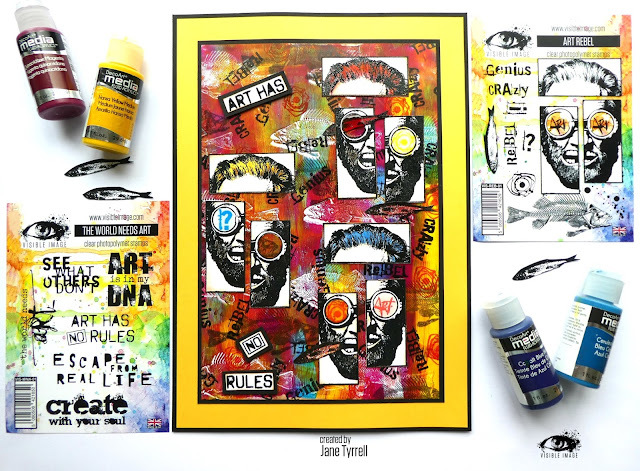 Click HERE to find out how to enter the challenge… this month the theme is Your Favourite Visible Image Stamp! Thanks Kim! Brilliant work, love it! 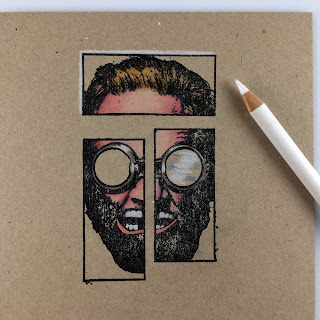 Head over to Kim’s blog to see more of her amazing work. 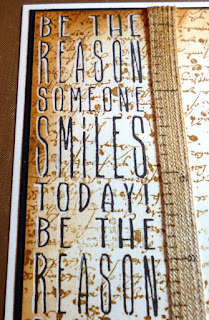 Hello and thanks for coming to see our mid month challenge inspiration! 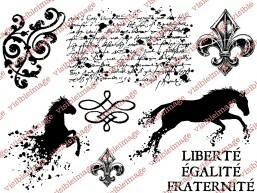 with a masculine feel using at least one Visible Image stamp! 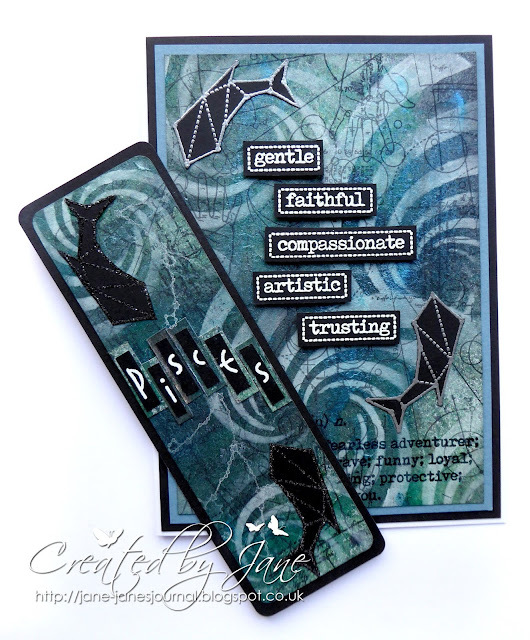 Combining our Painted Wood and Handy Hints sets to make a really cool card! We hope you have been inspired to get your entry in! Have a great Sunday, especially if you are lucky enough to be spending it with your Dad on Father’s Day! 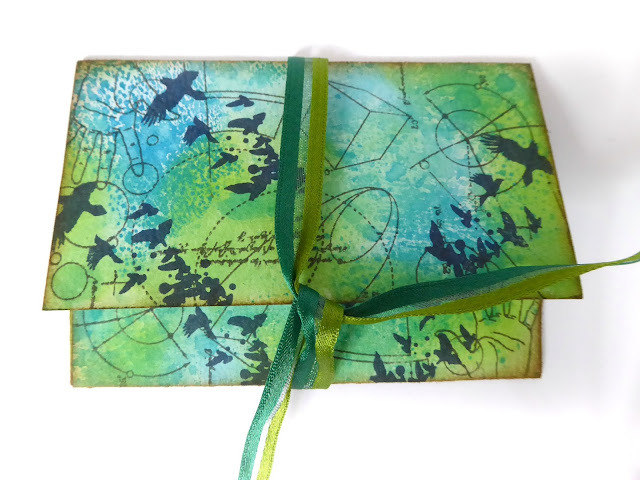 Hello and welcome to the June Visible Image stamps challenge! 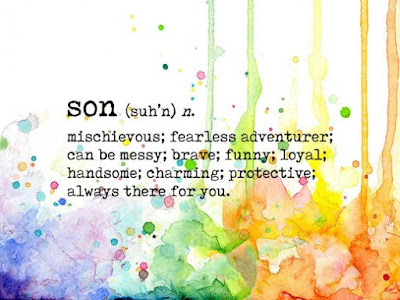 Our theme this month is a masculine one….it is the month of Father’s Day after all! 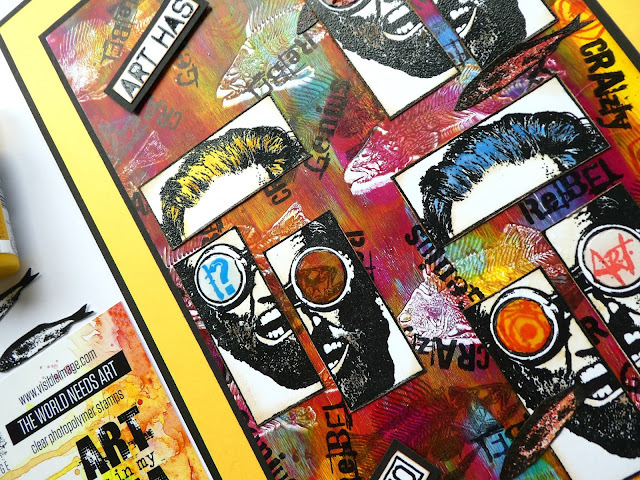 Check out our Challenge Rules before entering….you must use at least one Visible Image stamp, and no digi images! Here’s some superb inspiration for you from our awesome Design Team, and there is even more to come on the 15th from the rest of the team…. 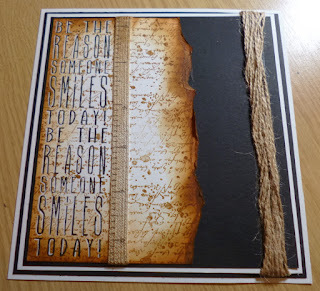 with our Tyre Marks stamp and Bronte Border Script . 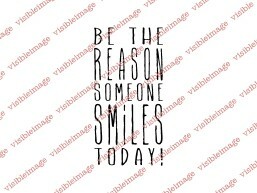 The sentiment is from our fantastic Handy Hints set. 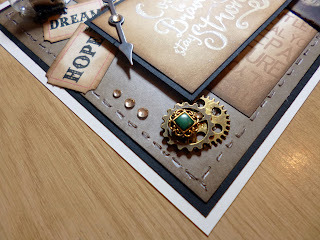 Amber has used our Debonair Bradley set to create this awesome card. 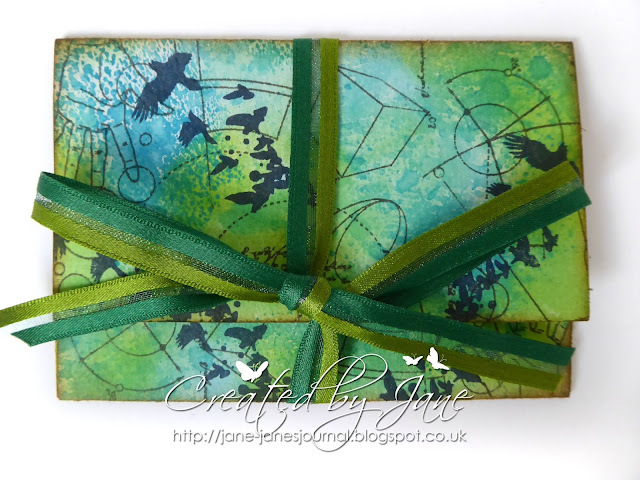 Kay has made a brilliant travel pass holder with our amazing Free Your Imagination set. our brilliant Father’s Day set, and the tools and metal plate from our Heavy Metal set. 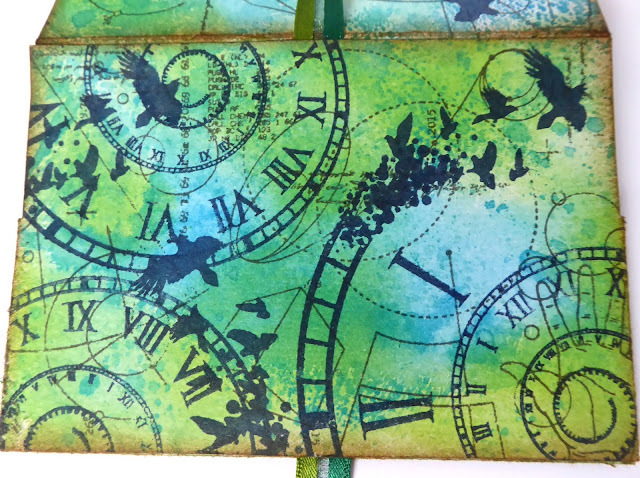 Tracy has created her fantastic CAS card with our Time after Time set and Ink Splats stamps. 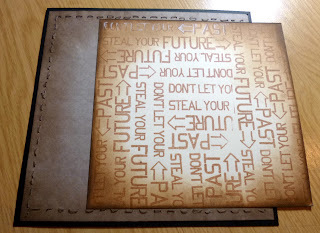 Sam has made her awesome card with our NEW Orin Destiny set! Bronte Border Script and our Tyre Marks stamp. The sentiment is from our Handy Hints set. We hope you will leave a comment for our wonderful DT. 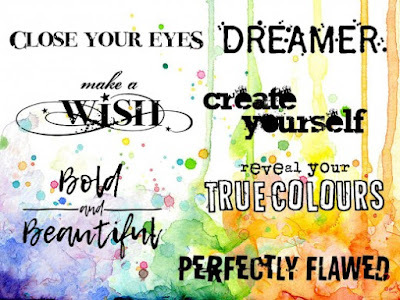 We can’t wait to see what you create this month for your chance to WIN £20 to spend on our stamps! you can upload your entry to our Facebook Group.